Andrés was born in Mérida in 1787 to José Matías Quintana and doña María Ana Roo de Quintana. José Matías founded and edited the pro-independence movement newspaper Clamores de la Fielidad Americana during 1813 and 1814. Considered a rebel-rouser by the Spanish Viceroy, José Matías Quintana was arrested and sent to prison in Fort San Juan de Ulúa. Andrés was to follow in his father’s footsteps. He first attended in the Seminario de San Idelfonso in Mérida, then later moved to Mexico City to study law at the Real y Pontificia Universidad de Nueva España in 1808. Upon graduation, he began practicing law in Mexico City, where he met his future-wife, Leona Vicario, the senior law partner’s niece. Leona supported Quintana Roo’s vociferous pro-independence stance in spite of her family’s pro-Crown position and she secretly funneled money and aid to the insurgents through Andrés. Andrés, in turn, was editor and publisher of the weekly pro-independence newspaper Patriótico Americano and wrote frequently for the pro-independence paper Ilustrador Americano. Because of her financial and in-kind contributions to the rebel cause, Leona was jailed in 1813. After she managed to escape, she and Andrés were married. In 1813-14 Andrés presided over the National Constitutional Assembly that drafted the Constitution of Apatzingán, calling for Mexico’s independence. The Constitution failed, and Quintana Roo was subsequently pursued by the Royalists. Fearing he and his wife would be arrested and placed in front of a firing squad, he applied for, and was granted, a pardon in 1818. After the country’s independence in 1821, Quintana Roo presided over the Constitutional Congress that drafted the 1824 Constitution. He served as Undersecretary of Foreign Affairs under Emperor Agustín de Iturbide from 1822 to 1823, as a Justice of the Supreme Court from 1824–27, as the Mexican Plenipotentiary in London in 1828, and as a member of the Tripartite in 1829. In 1833 he was named Supreme Court Magistrate by General Antonio Lopez de Santa Ana, a position he held for the rest of his life. 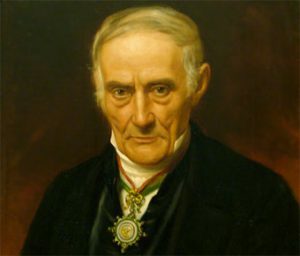 In 1836 he was named the first president of the Academy of San Juan de Letrán. During the War of Independence, Yucatan tried various times to separate from Mexico and go it alone as an independent nation. In 1841, the government of General Santa Ana sent Quintana Roo to Yucatan to try to resolve the situation. He was able to negotiate a deal with the Yucatan government which granted the peninsula autonomy within the federalist state of Mexico, but, although the Yucatan government signed the treaty, Santa Ana refused to recognize the terms and it was scrapped. In 1842, Leona Vicario died and was buried in the Panteón de Santa Paula, in Mexico City. A special commission ordered by President Santa Anna named Leona the “Worthy and Sweet Mother of the Fatherland” (Benemerita y Dulcisima Madre de la Patria) in August 1842, just days after her death. She was the only civilian woman to have received a state funeral. Andrés died nine years later, on April 15, 1851. Leona’s body was disinterred and they were buried together next to the Santuario de Nuestra Señora de los Ángeles in Mexico City. On May 28, 1900, the two bodies were moved and re-buried in the Rotonda de los Hombres Ilustres del Panteón Civil de Dolores. In 1910, they were moved again, this time to the Columna de la Independencia in Mexico City. In 2010, the remains were moved once more, first to Chapultepec Castle and then to the Palacio Nacional, where they were kept during Mexico’s Bicentenary celebrations. In 2011, the two’s remains were returned to the Columna de la Independencia in Mexico City. Quintana Roo was a prolific writer and poet, publishing hundreds of newspaper and magazine articles, essays, and poems during his lifetime. His best known composition “Ode to the Sixteenth of December,” is a patriotic poem praising liberty and condemning tyranny. On November 24, 1902, President Porfirio Díaz created the Federal Territory of Quintana Roo from the eastern coast of Yucatan. In June, 1913, Mexican President Carranza reincorporated Quintana Roo back into Yucatan. A few weeks later, Carranza reversed himself and made Quintana Roo a Federal Territory once more. In December 1931, the Territory of Quintana Roo was again dissolved and re-incorporated into Yucatan. On January 11, 1935, President Lázaro Cárdenas reversed the order and reinstated territory status to Quintana Roo. On October 8, 1974, Quintana Roo became a free and sovereign State in the Mexican Union.